Jan 12, 2017: Is there a 1440p monitor 144hz+ with freesync for 400 or less? Jan 17, 2017: Should I get this monitor? Jan 20, 2017: 1080p 144hz G-Sync/no sync or 1440p no sync 60-75hz? Jan 20, 2017: Which of these two monitors should I pick up? Jan 20, 2017: 24" or 27" or some other third thing? Jan 22, 2017: A second Monitor- My Little conundrum. Jan 24, 2017: Looking for suggestions for 1440P, G-Sync, TN, 24" - 27"
Jan 27, 2017: Second Monitor Help! Jan 30, 2017: 144hz, 1440p monitor? Jan 31, 2017: Can my GTX 970 run a second 2k monitor? Feb 05, 2017: Building a new pc in three months. I will be using a GTX 1080. 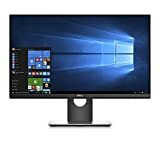 Is this a good gsync monitor? Feb 08, 2017: Is there any big difference i'm missing between these two 1440p monitors? Feb 17, 2017: Is this dell monitor decent for 2k gaming? Why is it priced so far below the other ones? Feb 17, 2017: I am looking to upgrade my monitor, can my setup handle the up grade? Mar 15, 2017: Odds that I will get a better deal than this for a 1440p 144hz G-Sync monitor? Mar 31, 2017: best 1440 144hz monitor atm? Apr 19, 2017: Why isn't 1440p @ 24inch a thing? May 29, 2017: Is this best for the money?? (Monitor) thankyou in advance! Jun 05, 2017: Is 27" worth $220 more than 24"? Jun 07, 2017: 24 inch 1440p vs 27 inch 1440p differences? Jun 09, 2017: Need Help Finding A Monitor! Jun 16, 2017: In due time, we will have them all. Jun 21, 2017: 1440p 144hz Monitor for college. Does IPS Matter? Jun 27, 2017: 1440p, 144hz monitor under £300? Jun 27, 2017: Should i go with a 1440p Monitor or a 1080p? Jul 03, 2017: So... What do you think? Jul 17, 2017: What monitor would you recommend for a GTX 1080 Ti for someone who is on a budget? Jul 20, 2017: Anything better than this? Jul 20, 2017: Choosing the right monitor for me. Jul 22, 2017: Budget 1440p 144hz monitor? Jul 26, 2017: Which monitor to buy mostly for gaming and regular use. Jul 29, 2017: Would this be a Good 1080p Gaming PC for $1,701.23? What Changes would you recommend or this is a good set up? Jul 31, 2017: After asking about Gsync, i think i found a good monitor. How does this look to you guys? Aug 04, 2017: Dell Gaming S2417DG vs AOC Agon AG271QX monitors? Aug 07, 2017: Noob here, need help building first PC! Aug 08, 2017: What monitor should i buy with these parts? Aug 17, 2017: Help me find a side monitor which matches my s2417DG. Aug 17, 2017: hello r/monitors, please help! Aug 23, 2017: Need help to find a monitor! Aug 24, 2017: Looking for help to build a $2500 gaming PC that can run any game with high+ settings and run exceptionally smooth. Sep 04, 2017: Which monitor to buy for photography work/gaming? Sep 13, 2017: What monitor should I get? Sep 16, 2017: Disappointed with my new monitor, looking for advice on a better one. Sep 24, 2017: Best time to buy graphics card and 2K 144Hz monitor? Sep 28, 2017: Anyone know of a monitor that meets these specs? Oct 08, 2017: Good 300-400$ monitor or ultrawide? Oct 10, 2017: Help choosing a monitor PLEASE? Oct 15, 2017: Is it really worth getting G-Sync? Oct 22, 2017: Help me choose a monitor! Oct 29, 2017: I've fallen down the rabbit hole! What should my next upgrade be? Nov 01, 2017: How do these Compare? Nov 19, 2017: Looking to upgrade my monitor, don't know which one to get based on my specs. Nov 24, 2017: Upgrading monitor. 1080 vs 1440 resolution? Nov 30, 2017: 144hz monitor weird scrolling desktop view? Dec 04, 2017: Want a 144hz Gsync monitor. I think this is the one, but do you have any better suggestions? Dec 16, 2017: Is this a good 2k 144hz monitor? Dec 28, 2017: Upgrade monitor to 1440p 144hz or get a gtx 1080 and get a monitor later? Jan 03, 2018: What monitor is worth it ? Jan 07, 2018: My new build wont give my monitor a signal. Help me :( Please. Jan 16, 2018: Looking to get a new PC Gaming Monitor from NewEgg. Price Limit is around $500. Jan 19, 2018: Which 24" 1440p 144hz monitor should i get? Mar 19, 2018: Build Ready, Feedback Appreciated! May 02, 2018: G-Sync or 144 hz monitor? May 03, 2018: 24" 1440p 144Hz or 24.5" 1080p 240Hz for gaming? May 14, 2018: 1080p 240hz or 1440p 144hz - What would you pick? May 14, 2018: First PC Build, CPU/GPU combo help and Slim Case Fan recommendations. May 14, 2018: Mini ITX 1440p 144hz build. CPU/GPU Choice help needed. May 15, 2018: Mini ITX Gaming PC for 1440p 144 hz. CPU, GPU, and Slim Case Fan recommendations? May 16, 2018: First Ever Build! Mini ITX 1440p 144hz PC parts compatibility check before buying. May 21, 2018: Before I pull the trigger? + Monitor suggestions? May 27, 2018: One of the reasons I got the S1724DG monitor was to code in the rotated position. Made my Arduino final easier! Jun 30, 2018: Which monitor would you choose? Jul 24, 2018: Why is the dell S2417DG so cheap? Jul 27, 2018: Thanks for Your Help! Round Two? Nov 28, 2018: Best Monitor For My Inspiron 7577 w/ 1060 Max Q? Dec 10, 2018: Upgrade to 144hz Monitor, can my build handle it? Feb 05, 2019: Best 1080P, 144hz monitor for Xbox one S? Feb 06, 2019: I need help picking a monitor. I have some possible choices laid out and any other suggestions would be appreciated.